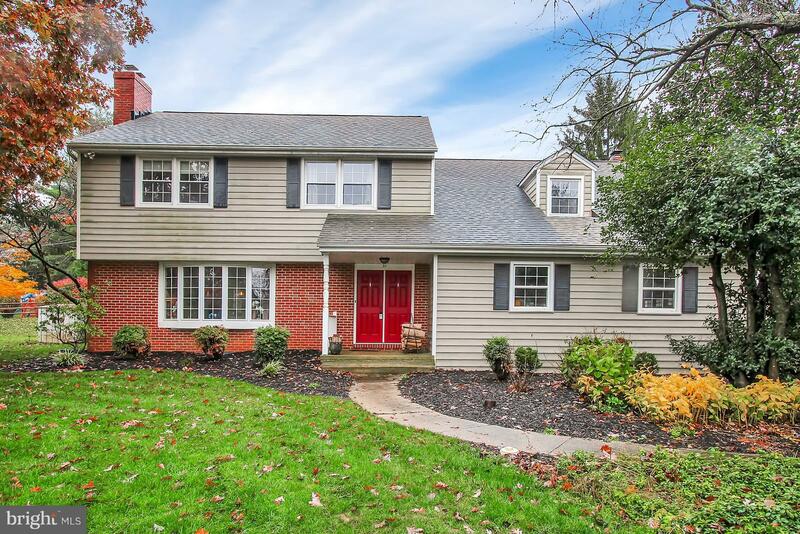 Charming Colonial in Sunnybrook just minutes from Loch Raven Reservoir and the NCR trail. The main floor boasts hardwood floors, with a formal living room and wood burning fireplace with a large bay window, upgraded kitchen with granite countertops, double oven, stainless steel appliances, gourmet cooktop, lots of cabinets and even two breakfast bars. The kitchen overlooks a dining area and family room with a second wood burning fireplace and wet bar with a beverage cooler . On the upper level are 4 generous sized bedrooms and 2 full baths with hardwood floors. Lots of storage closets and a quaint nook for a computer desk in the master bedroom. A completed finished lower level with rec room, a full laundry room with folding counter and full bath. A two car garage and fenced in yard complete this outstanding home just waiting for YOU! © 2019 Bright MLS. All rights reserved. Information Deemed Reliable, but Not Guaranteed. Listing information is from various brokers who participate in IDX and not all listings may be visible on the site. The property information being provided is for consumers personal, non-commercial use and may not be used for any purpose other than to identify prospective properties consumers may be interested in purchasing. Listing courtesy of Howard Hanna Real Estate Services-Shrewsbury. Data last updated on Thursday, April 25th, 2019 03:25:51 PM.